As mentioned on the Introduction page, the first station dated from October 1840 when the section of the Manchester & Leeds Railway between here and Normanton was opened. At Normanton it joined the rails of the North Midland Railway into Leeds. 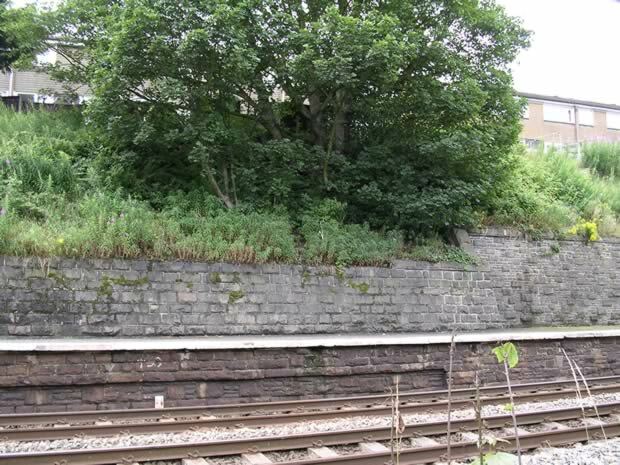 Until the Summit Tunnel was completed in March 1841, Manchester passengers had to travel by horse-drawn coach from here to Littleborough to rejoin the railway. Part of the 'train journey' by coach was not all that would be familiar to today's travellers - then as recently now smoking was forbidden on the stations. Not until 1854 did Leeds trains go via Halifax and Bradford, following the opening of lines connecting the three towns. 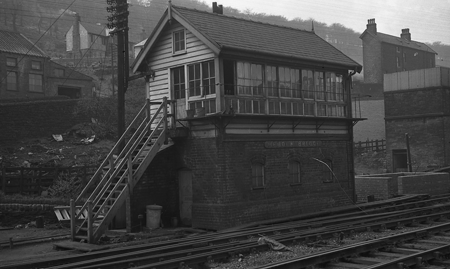 The station building with passenger facilities was on the 'down' (Leeds) line with a short canopy to the front to protect First Class passengers from the elements while they crossed to their carriage. Off the 'up' (Manchester) line there was an engine shed with a short and narrow platform to the front which was accessed from the 'down' platform by a foot crossing. In 1870 this engine shed was converted into a General Room and the platform widened and extended. 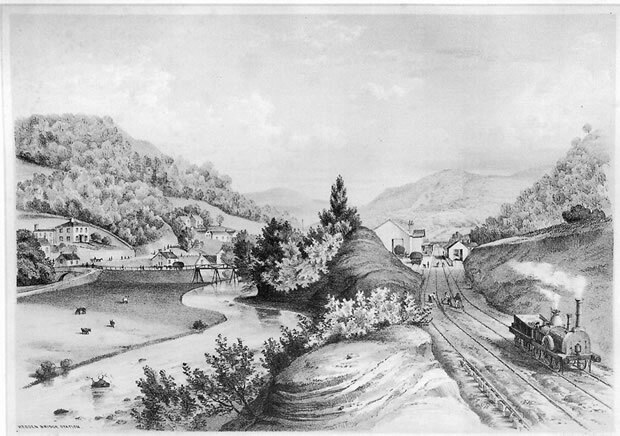 In 1891 work started on building a new station. This was completed in 1893 and is largely what we see today. The platforms were connected by a subway in place of the foot crossing and there were passenger facilities on both platforms: First Class Waiting Rooms, Ladies Rooms (and that meant LADIES) and General Rooms for Second and Third Class passengers. Both platforms were raised and extended as can still be seen today. By this time there were extensive goods facilities to serve the town's mills, with a goods yard and a large three-storey station warehouse. These facilities were withdrawn in 1966 and the warehouse let for general storage, but it was demolished following a fire in 1969. In 1994 the site was converted into a formal and landscaped car park for the station. At the same time, a bus turning circle was constructed and the Booking Office forecourt re-laid and pedestrianised. 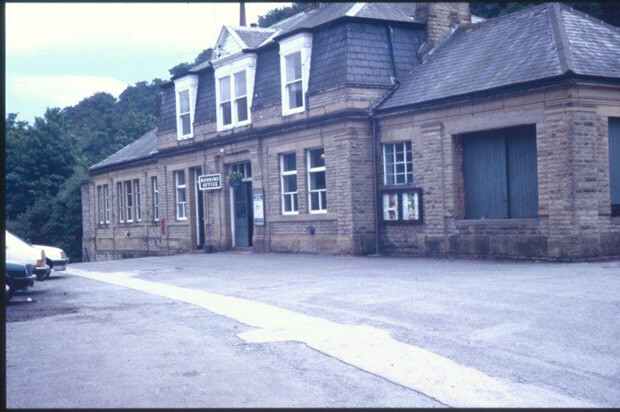 In 1997 a £1m renovation project restored the station to its Victorian glory and about the same time the Parcels Office was converted into the café. 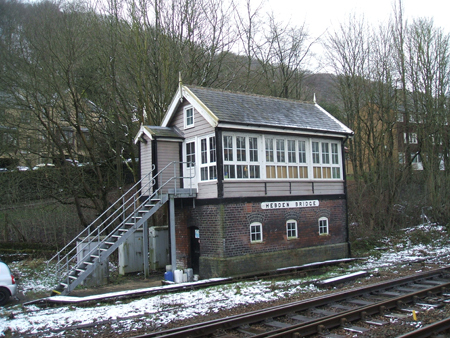 Article about the listing of the signal box. More about the history can be found on this website.